Just because an item’s made from rubbish, it doesn’t mean it needs to look like rubbish. That’s the ethos behind eco artist and designer Sarah Turner’s exquisite work, which includes handmade flowers, vases, lights and other unique sculptures transformed from recycled Coca-Cola bottles and cans – some of which you can make at home! A design graduate from Nottingham Trent University with her own online shop, Sarah benefits from being one of our 5by20 artisans - The Coca-Cola Company initiative enabling the economic empowerment of five million women entrepreneurs across the world by 2020. She first started working with Coca-Cola Great Britain during the London 2012 Olympic Games, and since then her upcycled creations have been displayed at prestigious exhibitions in London, Milan, Paris, Los Angeles and in her local town. 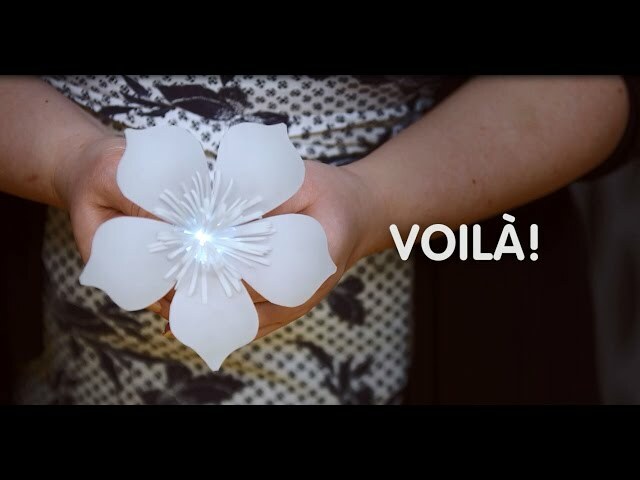 Watch a step-by-step video where Sarah creates a beautiful flower-shaped LED light from an empty bottle of Coca-Cola Zero Sugar. Read below for a full interview about Sarah and her work. Have you always wanted to be an artisan? I’ve always wanted to create and make things, even from a young age. We collected all the crisp packets and yogurt pots in the house and I would make things from them – and I basically never grew out of that! I’ve always wanted to be more hands on, and have always had a little project on the go. Why do you think it’s important to use recycled materials? I think it’s essential really. We have such a big problem with plastic, which half the time ends up on a landfill site, or even worse in the sea – it’s just something we’ve got to fix now. There are lots of solutions to this and mine’s just one of them. A creative solution to a giant problem that we’ve got in this world. What’s your favourite item that you’ve made from recycled Coca-Cola packaging? I just made a dragon which was fun. I got to work with some children in a youth club where they helped make all the bits and bobs and I put it all together. I’ve also made an elephant. It’s really satisfying to get them involved and see how excited they get. How did you hear about our 5by20 initiative? Coca-Cola got in touch with me around the time of the London 2012 Olympic Games, and asked if I’d help furnish the hospitality centre in the Olympic Park with my creations. So I made five big chandeliers that were two metres wide, and made from hundreds of recycled plastic bottles. I also made a sculpture of a diver jumping off a high board and splashing into the water. Why do you think that empowering women is important? I guess it just helps us get a leg up really. It helps balance the gender inequality in society. I’m really glad and grateful to be part of the scheme. 5by20 is The Coca-Cola Company's global commitment to enable the economic empowerment of 5 million women entrepreneurs by 2020. Since 2010, it has reached more than 1.2 million of these women across 60 different countries. Find out more about our recycling initiatives.